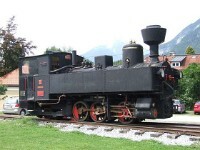 1 One original Zillertalbahn locomotive on display in the village of Jenbach. 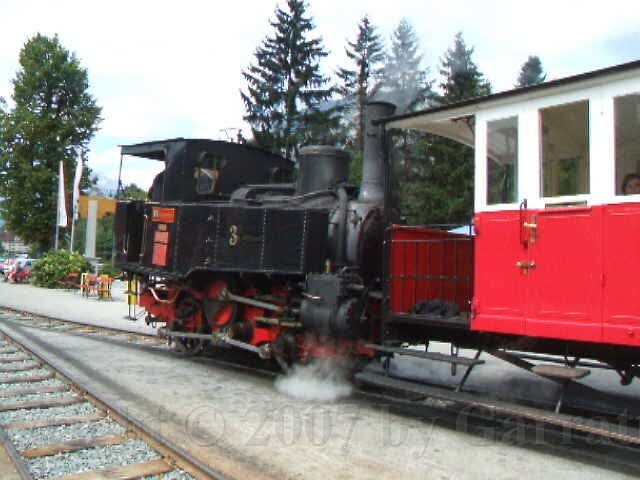 It is an engine of the famous "Reihe U", the most numerously built narrow gauge locomotive type in Europe. 2 From the rear. Note the frame: the inside frame between the drivers swings to the outside on the rear. 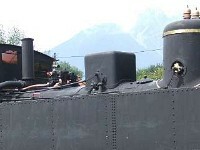 4 Achenseebahn locomotive. It has a very peculiar motion in the gear. The cylinder motion runs in reverse when the locomotive is running forward. 8 Visual play: the doors of one of the cars. 14 Detail of the peculiar Walschaerts valve gear. I suppose this engine does not have the ordinary piston valves but uses camshafts and poppet valves. 16 Ash was scooped out of the firebox into a wheelbarrow and extinguished. 19 and the locomotive left alone until the next run.